Natural gas, in both light and heavy-duty vehicle technologies, can significantly reduce the GHG emissions from transport. 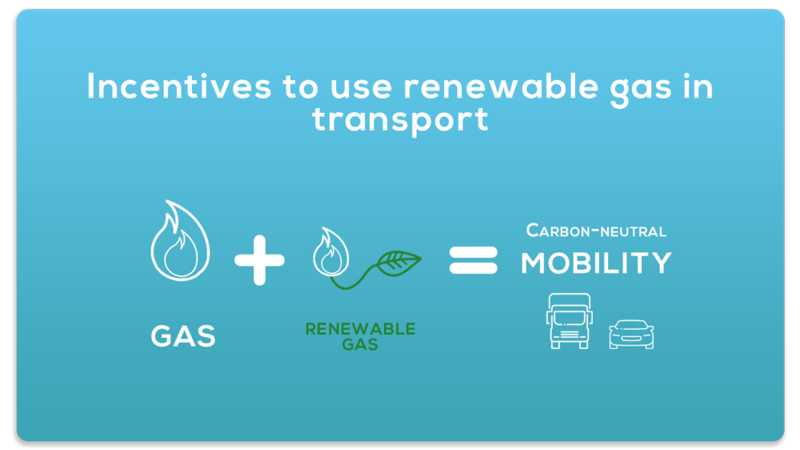 Blending it with renewable gas contributes further to clean transport and offers significant reduction potential for the future. 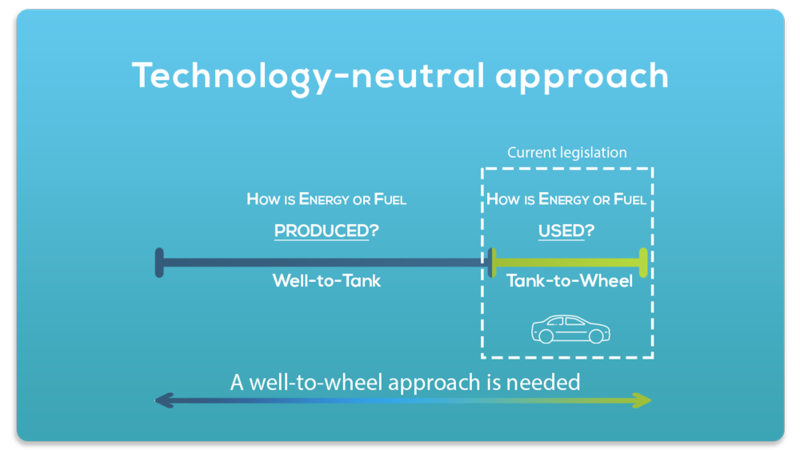 Therefore, the Well-to-Wheel approach must be part of methodology evaluating the solutions, and CO2 credits should be offered in countries where renewable gas is injected in the grid. As an example, in Switzerland, 10% biomethane in the gas mix results in a 10% CO2 credit in addition to the CO2 homologation value. Natural gas is a clean fuel that can help improve the quality of the air we breathe as it has no sulphur, particulates, aromatics or other harmful pollutants. 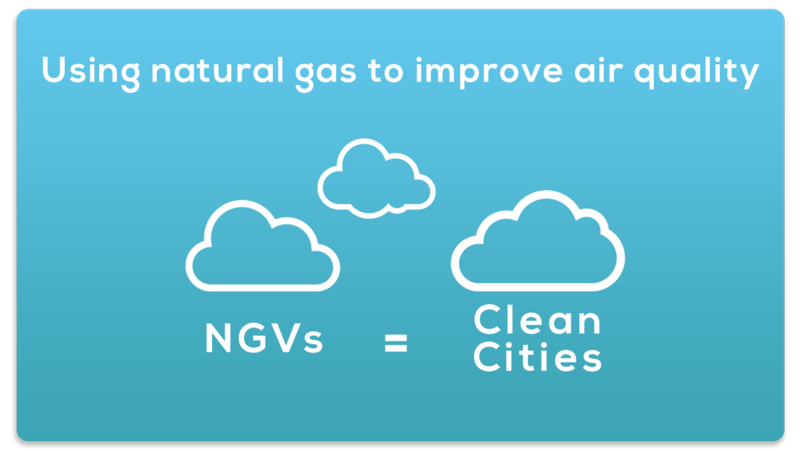 Natural gas vehicles must therefore be acknowledged as a key solution to ensure improved air quality in a cost-efficient way. Furthermore, natural gas combustion engines are low on CO2 emissions and carbon-neutral with renewable gas. As such, the Clean Vehicle Directive should recognise and label NGVs as clean, providing a clear mandate for Green Public Procurement to include NGV technology as main solution. 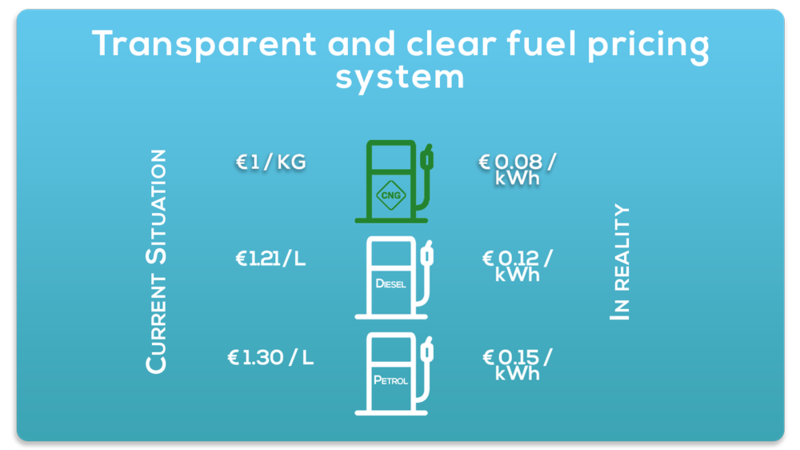 NGVs guarantee close-to-zero pollutant emissions even under real driving conditions, therefore access to Low-Emission Zones (LEZ) in European cities should be granted. Interest in using natural gas as a clean fuel in the maritime sector is also on the rise. Access to Emission Controlled Areas (ECAs) and a future cap on sulphur content of marine fuels will demand an increasing contribution from clean fuels. 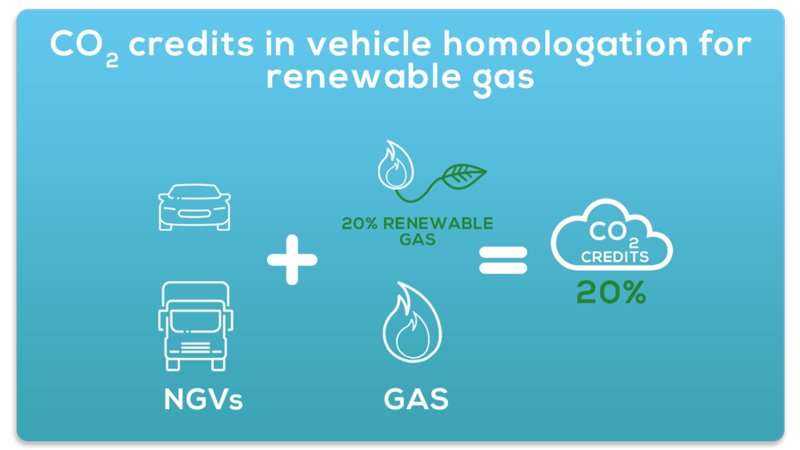 Carbon-neutral mobility through renewable gas is possible even today with current NGV technologies. 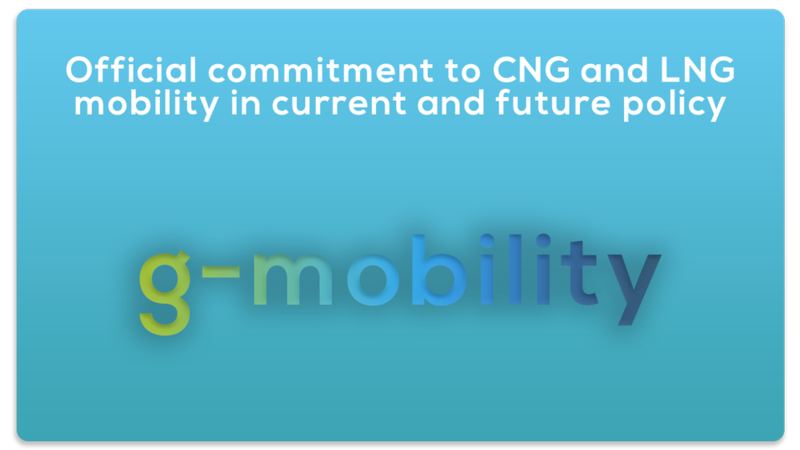 A long-lasting drive to bring renewable gas into the transport sector is needed to enable private investment in production capacity and R&D activities. Natural gas refuelling infrastructure must be further developed, allowing a homogeneous market throughout Europe. Harmonised standards at EU level are needed and should be implemented at national level to increase interoperability among European countries. 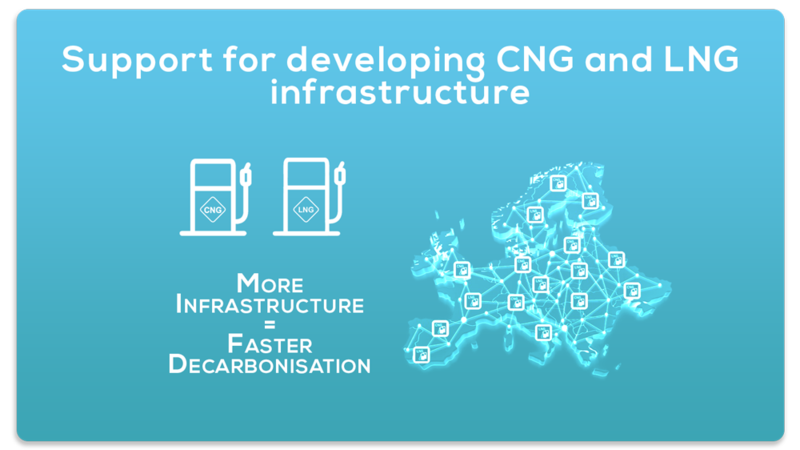 Natural gas contributes to decarbonisation and improving air quality in the European Union in a cost-effective way and is already available now. 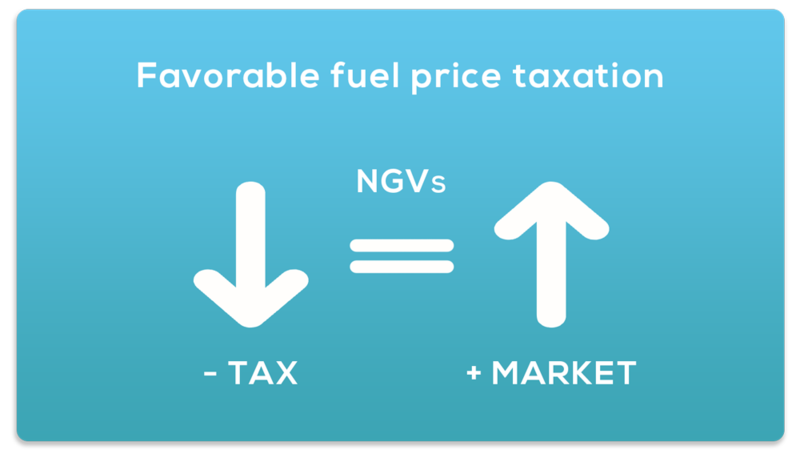 Favorable price differentials to support a 10% NGV market share as critical mass by 2030, must be ensured by sustainable EU taxation, supporting such low-carbon and low-pollution solutions. Natural gas is currently being sold in kilogrammes, which is different from petrol and diesel sold in litres. As such, customers are therefore not receiving clear pricing information. A fair and technology-neutral way to achieve this is to price all fuels based on energy content, so that they are directly comparable. Current legislation targeting decarbonisation only refers to Tank-to-Wheel CO2 emissions. This approach is misleading when comparing different solutions based on fuels or on energy carriers. To ensure a technology-neutral approach Well-to-Wheel CO2 emissions must be taken into account. NGV technology offers a wide range of clean solutions for supporting both personnel mobility and freight transport. Under a technology-neutral approach natural gas must be clearly considered as key solution for both decarbonisation and air quality targets.